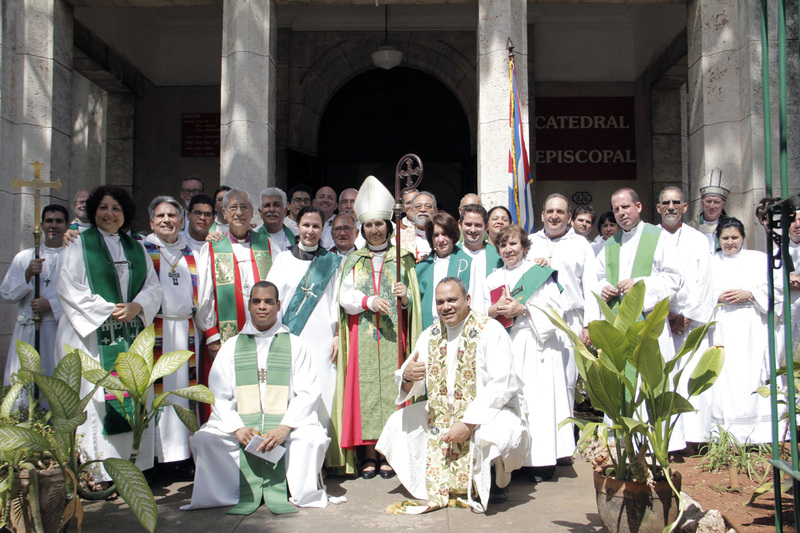 [Episcopal News Service] Now that the Diocese of Cuba is officially back in the Episcopal Church’s fold, Cuba Bishop Griselda Delgado Del Carpio has big dreams for strengthening family ties and sparking transformation. For starters, Delgado wants “everybody to know how happy I am to be back in the family” and hopes to extend to other dioceses and congregations the bridges she’s built with the Diocese of Florida over the past three decades. “For 30 years, we have learned to love each other, to work together, to respect each other and to share gifts that each community has to offer the other,” she said in a recent telephone interview with the Episcopal News Service, via an interpreter. After a 52-year estrangement, the 79th General Convention July 5-13, 2018. in Austin, Texas, approved reunification with the Episcopal Church in Cuba. Resolution A238 called “upon the dioceses, congregations and members of The Episcopal Church to acquaint themselves with the ministries of La Iglesia Episcopal de Cuba,” and to work in harmony and companionship for evangelism, mutual understanding, and the full expression of God’s mission, as well as to consider ways to be in partnership. Bishop Griselda – as she is affectionately called – is hoping to live more fully and deeply into the spirit of the resolution, creating partnerships while deepening relationships with the Diocese of Cuba’s U.S. siblings. She aims to spark transformation by focusing on building community through rebuilding churches, and she hopes to provide pensions for diocesan clergy. The Diocese of Cuba encompasses 46 congregations and five small missions that are “becoming and growing and staring to grow up” she said. Each one faces different challenges, but “each one can be worked out individually,” Delgado said confidently. “The main thing is to be able to continue to bring the Good News to the people,” she said, “with the evangelistic tool of love and of knowing Jesus. 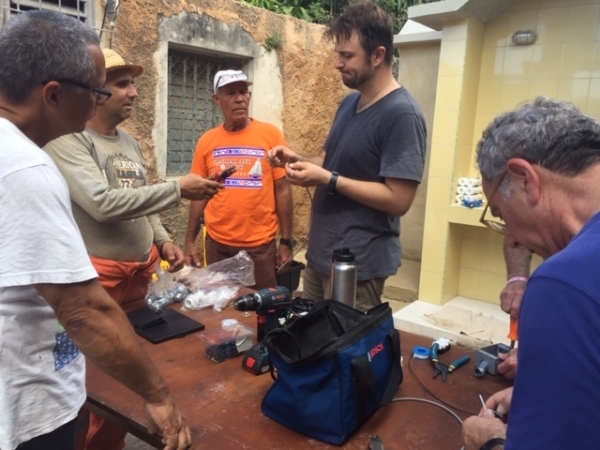 Chip Weismiller recently returned from helping to install a water filtration system at Santa Cruz del Norte Episcopal Church near Havana, along with others from St. Luke’s Church in Darien, Connecticut, and from Christ Church in Bronxville, New York. It means clean water, not just for the church, but for the entire community. “They are expecting to have 100 people a day come there to get fresh water,” he said. It is a model for jump-starting ministries in areas with crumbling infrastructure and where, for several generations, the society has not approved of church, according to Pat Cage, who helped form Friends of the Episcopal Church of Cuba, at Delgado’s request. The U.S.-based volunteer organization was created to assist Delgado and the Diocese of Cuba to “realize their transformational vision of creating a church that, united in diversity, celebrates, preaches, teaches, serves and shares the love of God,” according to Cage. 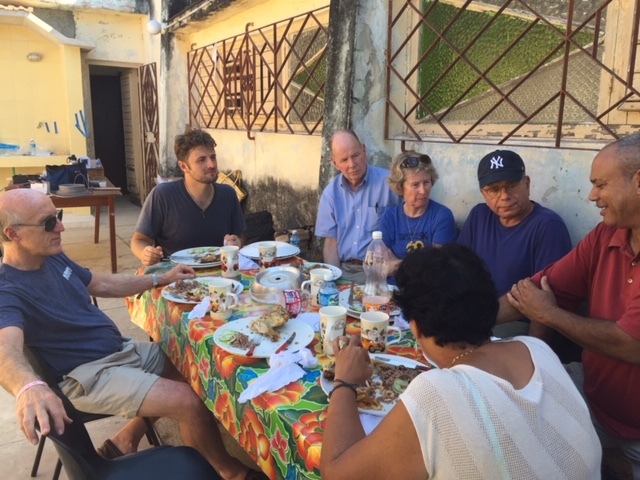 “A way Bishop Griselda is trying to rebuild the church community is to serve the basic needs of the people,” according to Cage, a member of St. Luke’s, Darien, who has also visited Cuba. The Rev. Yamily Bass-Choate, vicar of Iglesia Memorial de San Andres, Yonkers, New York, said her congregation, along with members of Christ Church, Bronxville, has partnered with the Diocese of Cuba, taking groups of teenagers to Cuba to learn about the culture and people and to assist with establishing water filtration systems. “We have installed about 26 water filtration systems since we began several years ago and have also trained people there to do it,” Bass-Choate told ENS. “Bishop Griselda has a wonderful vision for the diocese,” said Michael Pollack, a Christ Church parishioner who recently returned from his eighth visit to Cuba to help with the water systems. He keeps returning because “Cuba is a special place. The people are wonderfully warm. Their joyfulness for life and the goodness in it is palpable. It was right out there in front of everything, right there. There is a real sense of ‘we’re in this together and we need to help each other,’” he said. Delgado’s vision originated during her ministry as priest at Iglesia Santa María Virgen in Itabo, the congregation she served for about 25 years before she was elected bishop. Partnering with churches in the Diocese of Florida, the installation of a water filtration system sparked transformation. Iglesia Santa María Virgen, located in a rural area about 122 miles from Havana, also now has a garden that grows beans, corn, and coffee, and the plan is eventually to add chickens and pigs. “The agricultural products [from the garden] are sold at a very low price to the community. At the end of each season, the seeds are given out to the community,” Cage said. As a result, gardens are on the rise around the entire community of Itabo and so is church attendance. “It is meeting the needs, showing compassion and love, and bringing church into the community,” said Cage. Cage said the Friends of the Episcopal Church of Cuba organization is hoping to facilitate similar partnerships between additional U.S. and Cuban churches. Eating together, worshipping together, and visiting the sick in their homes and praying for them felt as powerful for Stuart Weismiller as did watching a young girl sip her first drops of clean water for her husband, Chip, during their Nov. 6-13, 2018, trip. It was the second trip to Santa Cruz del Norte for the couple, members of St. Luke’s, Darien, who consider it pure evangelism, not a “project” ministry. “We want to have a relationship with the people. It was very important for us to partake in all parts of the worship services. Some members of our group read lessons. We ate together. We hugged each other,” according to Chip Weismiller. According to Martin, the partnership between St. Luke’s and Santa Cruz del Norte Church has grown and blossomed. The addition of a Sunday evening meal has begun to build community, and the donation of baseball equipment has allowed the rector, the Rev. Frank Fernandez Triana, to organize teams of young people and also bring them into the church. Delgado’s vision also includes aid and support for Cuban clergy, who “have no state pensions or equivalent kind of social security because their service is not recognized as employment,” said former Presiding Bishop Katharine Jefferts Schori, now assisting bishop in the Diocese of San Diego. “At General Convention last summer, during our conversation about Cuba in the House of Bishops, I challenged the House to ask their congregants to offer $0.50 to help fund pensions for the Cuban clergy,” said Jefferts Schori. Several dioceses, among them San Diego, Arkansas, Louisiana, New York, Vermont and Utah, have responded, issuing calls to their congregations to aid the effort. Episcopal Church Treasurer N. Kurt Barnes declined, however, to comment about the amounts raised thus far. Jefferts Schori added that the U.S. church has much to learn from its Cuban sibling. “They are highly entrepreneurial and passionately focused on aiding their neighbors,” she told ENS in an email. Additionally, Delgado “has helped produce a development plan for the diocese that is beginning to bear abundant fruit – in terms of formation, accountability, partnerships and pastorally. I would encourage anyone with an interest to visit, learn more, and build a long-term relationship of mutuality. – The Rev. Pat McCaughan is a correspondent for the Episcopal News Service.